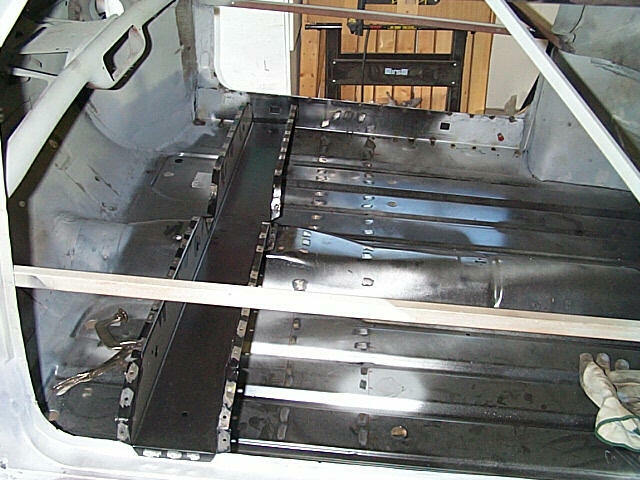 The drivers side outer sill is finished up and then I move onto the other side of the car to complete the door step and outer sill. 1. This is a picture of the rear of the outer sill being fitted into place and all lined up with the door step and the floor. 2. 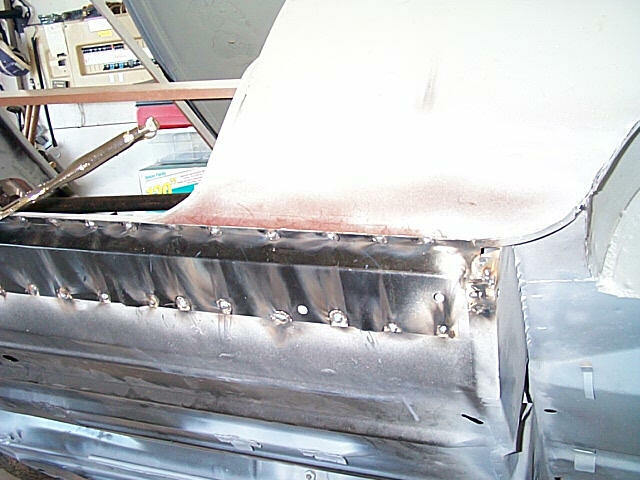 Then the welding begins, plug welding along all the edges. 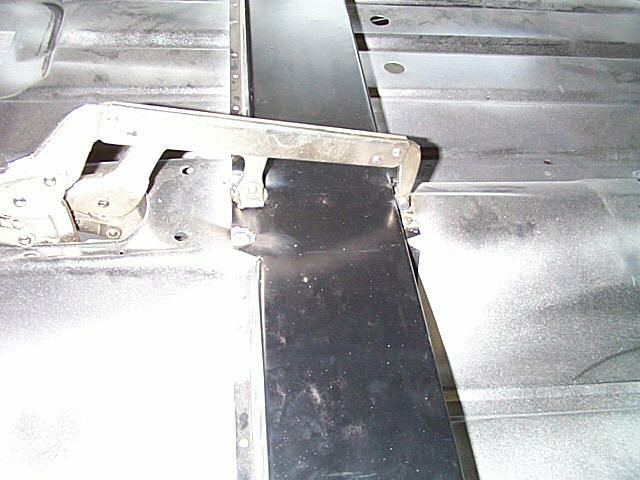 The edges were marked for the holes, which were punched using an air punch. 3. Then each of the holes had the paint ground away around it as did the door and door step. 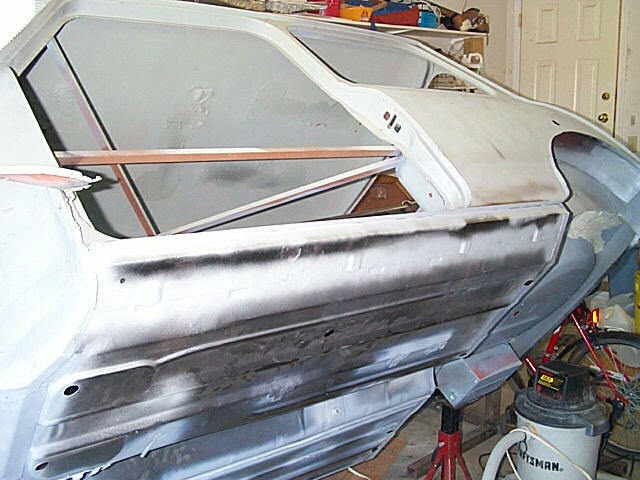 these areas were then all primed with the zinc weld-able primer. 4. 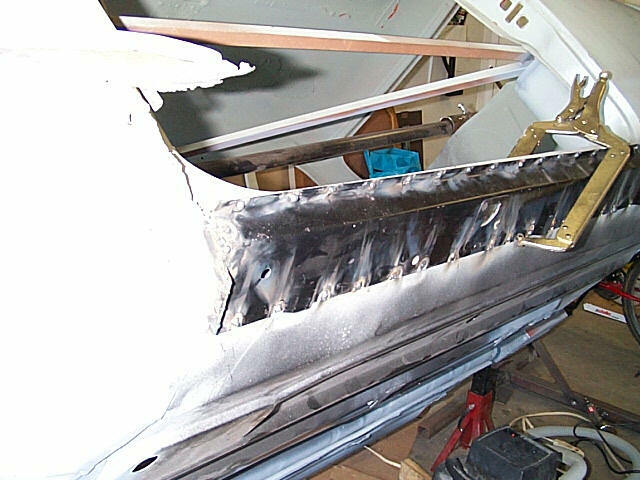 The previous picture show the welding around the rear of the sill and this one highlights the front. 5. 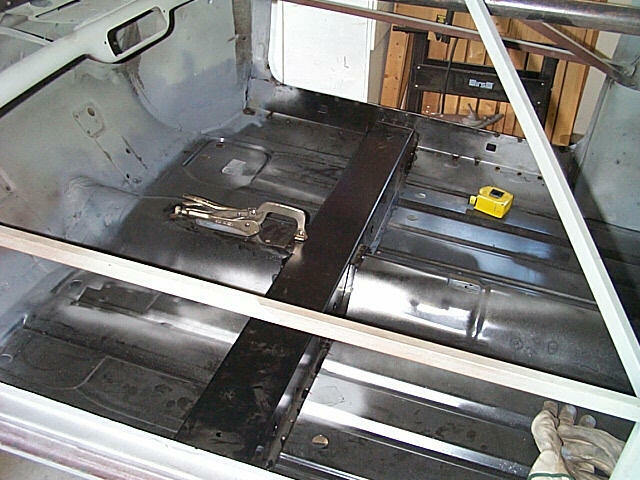 Finally, all the welds ground and primered for protection. 6. A view of the whole car as I haven't had any shots like this in a while. 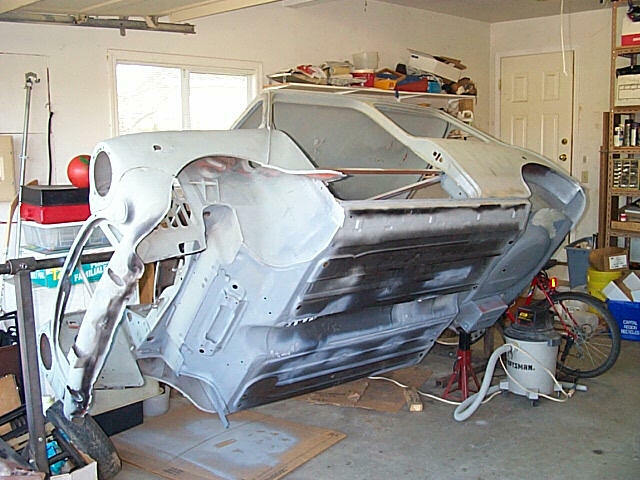 It's starting to look like a car again. 7. 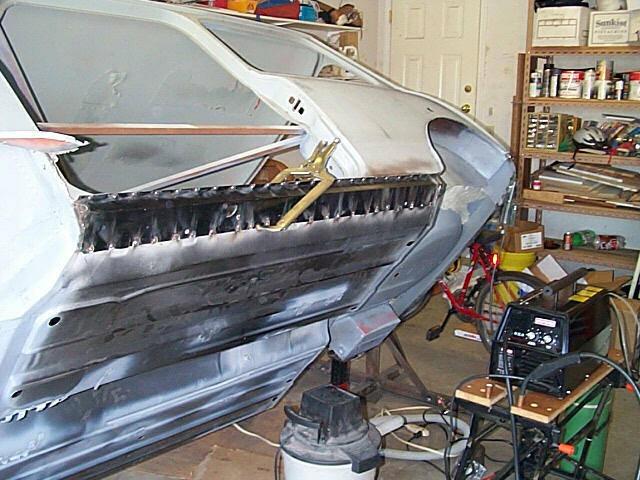 Starting now to work on the passenger side door step, mount the door, fit the new panel, scribe a line and cut below to allow for a final fitting. 8. 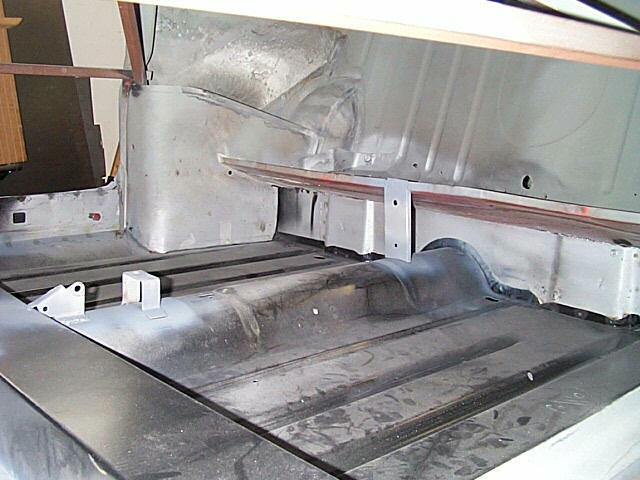 The cutaway area on the front of the panel. 9. Chris, my son checks the fitof the new panel, with the door mounted. 10. 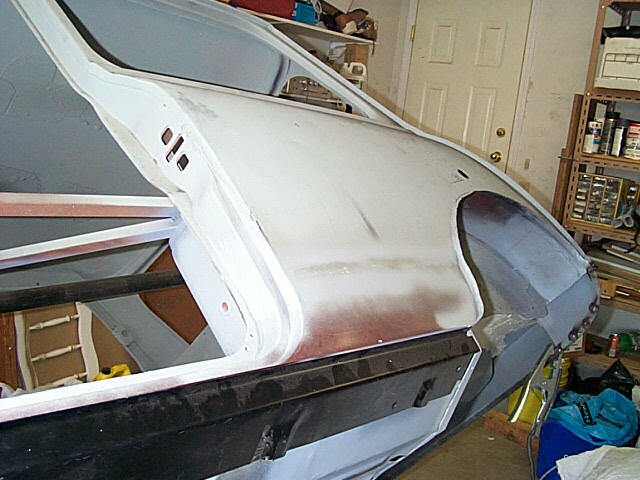 With the fit of the panel confirmed, it is welded into place, after removing the door. 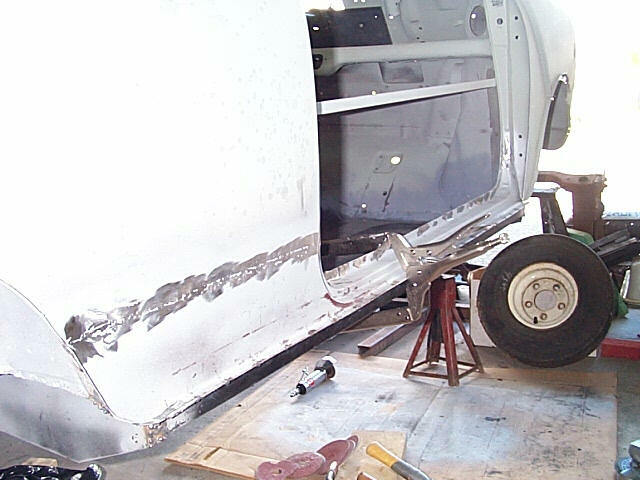 The door comes off and on several times as the fit is checked and rechecked. 11. 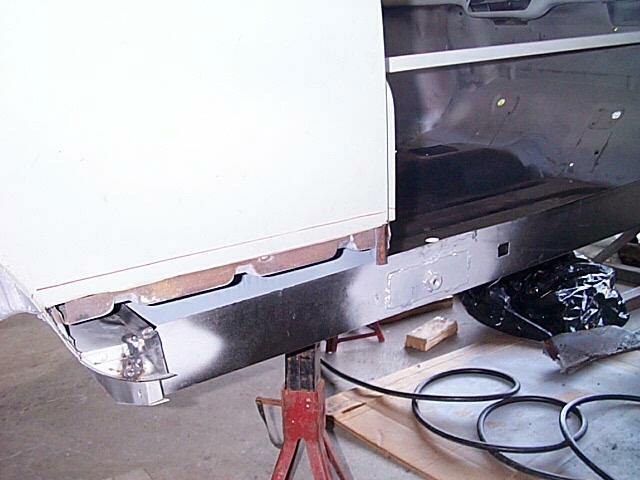 Now the outer sill for the passenger side is trial fitted, and clamped in place, welded, ground down and primered. As the task is the same as the drivers side, I 'm not putting up any photos for this.. 12. Here I am fitting the crossmember in place and clamping to mark the holes for plug welding. 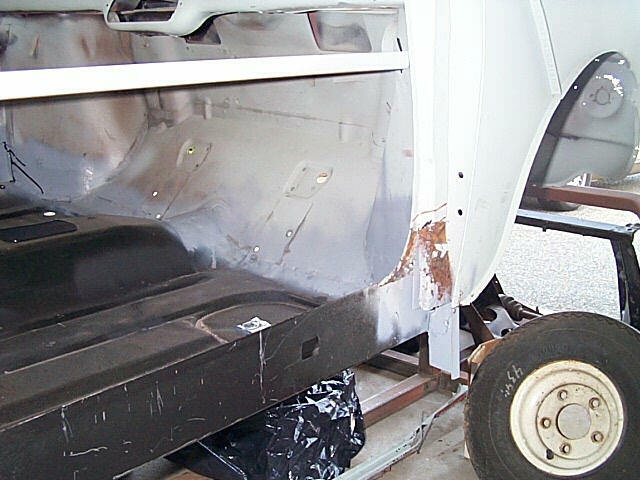 Then all the holes were punched, the paint ground away and the surface treated with zinc weld-able primer. 13. 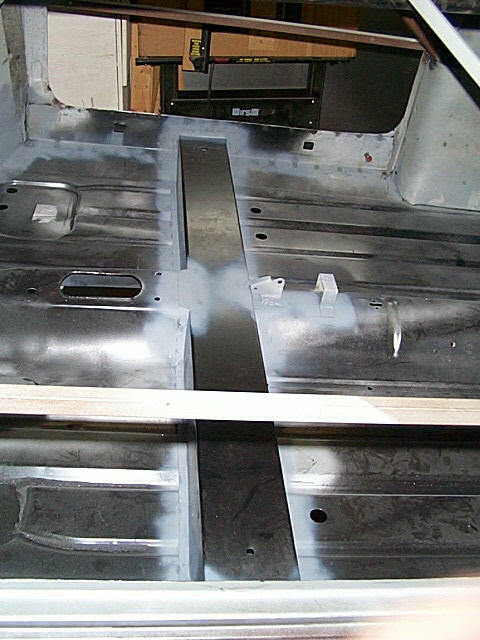 This view shows where the paint is removed from both the floor and the cross member to ensure a good weld. 14. With good clamping, the welding begins!! The next page is still in the works, but I'll be working on a jig for the front subframe, followed by a build-up of a custom subframe to fit the Honda SOHC engine into the front of the car. 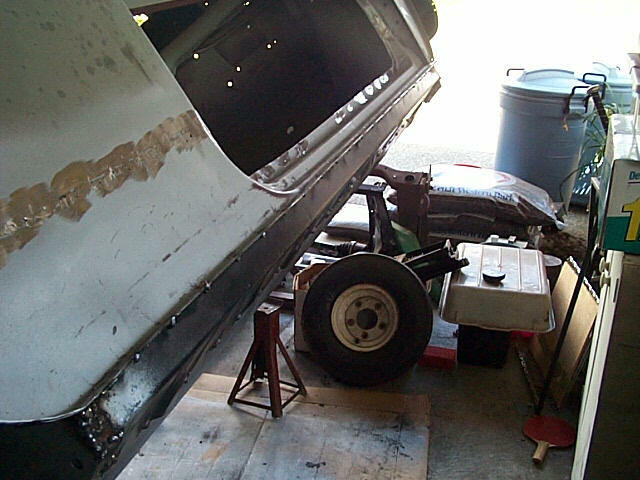 When that works, I will have a new apron, fenders and A panels to fit, and then the welding is almost complete!